Selling prices will have been set by the Artists. Our contract with the Artist states they are not permitted to sell Artwork at a lower price on any other Website or by any other means of distance selling. Every effort is made to ensure compliance, but if this is not the case Strategie Art will not be held liable. All Artworks offered for sale through our website are priced in Pounds Sterling or customer’s local currency and are inclusive of UK VAT (where applicable) and other relevant sales taxes at the applicable current rate chargeable in the UK. VAT is not charged to or payable on orders accepted from and delivered outside the EEA. These orders can be placed as usual using our online e-commerce platform, however in certain situations they will have to be placed directly with the gallery by telephone. The price of an Artwork delivered overseas (outside the UK or EU zone) does not include customs, import duties or taxes that might be applicable when the delivery reaches its destination. You are responsible for payment of any surcharges. The price of the Artwork shall be the price set out on the relevant page of this site. Strategie Art and/or the Artist reserve the right to change the prices set out on this site provided that if we accept an order from you the price for the goods will be the price set out in the relevant range at the time the order is placed. If the price of the Artwork increases between the date we accept your order and the delivery date, we will let you know and ask you to confirm by e-mail/in writing that the new price is acceptable. If it is not acceptable then you will, of course, have the option of cancelling the order. The price of the Artwork does not include insured postage, handling or packaging. There will be an additional charge made relative to the size and amount of Artworks insured for postage, handling and packaging. This charge will be clearly shown on the Order form. Visibility of prices depends on the Artist’s policy and his/her way of promoting and selling Art. If the price of the Artwork in concern is not visible please use the enquiry form to request it from us. You may be subject to additional charges from your Bank that are outside of Strategie Art’s remit e.g. currency conversion fees. Strategie Art will not be held liable for any of these additional charges imposed. All orders are placed using Strategie Art’s e-commerce online platform or over the phone. You must not attempt to contact an Artist direct using any of the tools and information provided to you by Strategie Art. All correspondence regarding the order and sale of an Artwork goes directly through Strategie Art and the Website. Once you have completed the purchasing process whether online or over the phone, an order confirmation and an invoice will be generated and sent to you confirming your purchase from Strategie Art. The Artist will be informed about your purchase and will provisionally book delivery. Once your funds have cleared our account, your Artwork will be dispatched, accompanied by your Certificate of Authenticity (where applicable). You will be sent tracking information and other delivery details. We accept orders placed within the UK, EU zone and European Economic Area (EEA), which are our standard delivery destinations. International orders outside of these zones can also be placed online using our e-commerce platform, however, in certain situations they will have to be placed directly with the gallery by telephone. In these situations we normally email you an invoice with a PAY link which takes you to our secure card payment system to complete the purchase. We endeavour to send you the invoice within 24 hours of you placing the order. Payment can also be made over the phone or by bank transfer if you prefer. We can usually arrange a discount for a multiple purchase. Please contact us and we will pass your suggestion to the Artist concerned. All Artworks are available for sale unless indicated/tagged as “Sold.” Owing to the nature of Strategie Art’s partnership structure, rare instances occur when an item’s sold-out status is not immediately updated. Should you purchase an item that we then learn is no longer available, Strategie Art will notify you and promptly issue a full refund. 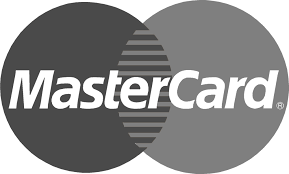 Credit cards (Visa, Master Card, Maestro UK, Solo, Visa Debit, Visa Electron, American Express) using the Stripe e-commerce processing provider. Payments are made using 128-bit encryption over a secure connection provided by the GlobalSign and Comodo SSL Certificate. PayPal; many of our customers already have PayPal accounts, however you do not need an account to use PayPal. 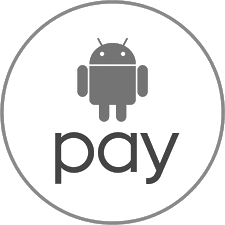 Over the phone; we can process your payment between 9:00 and 17:00 (GMT), Monday to Friday. The Consumer Protection (Distance Selling) Regulations 2000 may apply to some orders. These rights allow consumers who purchase some Artworks statutory cancellation rights to change their mind and return them. These regulations do not apply to Products purchased by a business nor to any Commissions or Made to Order Artwork. If you would like to cancel your order, please call us or email us to notify us that you wish to cancel. If the order has already been processed, you will have to follow the standard return process described in Returns & Refunds. ​to enjoy early access to new art and receive exclusive deals from our curated collections.